Since its founding in 1971 our Club has been dedicated to the education of its members and the general public in the art and culture of bonsai. We are an informal group ranging from novice to advanced and invite all who are interested to join us. We hold our meetings on the second Tuesday of each month, except December and August, at the Goleta Valley Community Center, 5679 Hollister Ave., Goleta, CA 93117. Meetings begin at 7:30 pm. Guests and visitors are welcome to attend. We usually have a potluck gathering in August and December instead of an evening meeting. 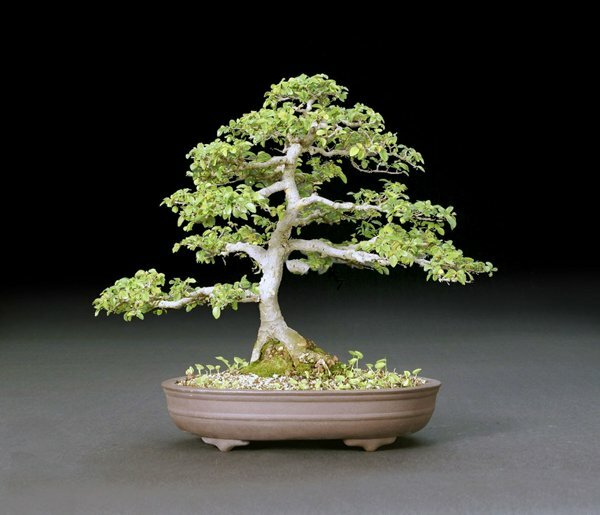 Meetings provide the opportunity to share information concerning the growth, styling and propagation of bonsai, and to stay current with what is happening in the world of bonsai. We invite nationally known guest speakers and demonstrators as well as draw on our own knowledgeable members for our monthly evening programs. Advanced classes with top instructors from around California are scheduled eight times a year. Open workshops for all members are also scheduled. We have a bonsai show and plant sale each spring at the Santa Barbara Botanic Garden, usually on a weekend in mid-May. Our 2017 show will take place on May 20 and 21. We hope to see you often at our events!